A team of Duke University scientists are in trial phases of a new catheter that is able to eliminate bacterial biofilms found inside the drain tube of catheters. Patients currently using indwelling catheters often times encounter blockage issues from these bacterial biofilms as well as a propensity to acquire a urinary tract infection because these bacteria can make its way into the urinary tract. However, an astute catheter design has been developed in order to prevent these biofilms from interrupting healthy catheterizations. This new catheter utilizes a separate channel that goes parallel to the drainage area and can be inflated with saline solutions or with air. This causes the drainage area to stretch and deform, forcing the lodged biofilm out of position. Bacterial colonies produce this biofilm in order to protect itself from outside forces, sort of like a town carapace. By introducing air or saline into the channel that runs parallel to it and thus deforming the inner wall where the biofilm is located, the bacterial town carapace is shaken, broken and/or otherwise highly compromised. When urine flows through, it is then simply flushed along with the urine. Before this breakthrough approach, most manufacturers were more focused on creating anti-bacterial films in order to fight the bacterial wall with very little success. Catheter-induced urinary tract infections are still the number hospital acquired infections in the United States today. The aforementioned mechanical way of getting rid of these bacterial biofilms are much more effective and bacteria have no chance at developing a defense to this anytime soon. What’s more, patients who self-catheterize will most likely be able to perform this at home. The high risk of contracting a urinary tract infection due to the solidification of biofilms that buildup in indwelling is the basis for the creation of this bacterial biofilm-destroying catheter. These bacterial coatings have always presented complicated problems to not only the healthcare practitioner but obviously for the patient as well, especially if advanced in years or disabled. The amount of funds that have gone into researching and developing bacteria fighting catheters has been astounding throughout the years. Not to mention the healthcare cost of the patient post-infection, particularly the recurring urinary tract infection sufferers. 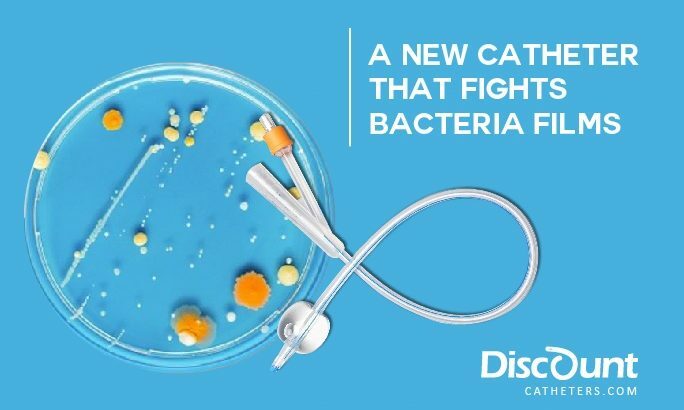 For the most part, before this new catheter, patients and healthcare practitioners had to simply replace the catheter due to the blockages as a result of the accumulation of bacterial biofilm layers. By interrupting this accumulation of bacteria, catheter-induced urinary tract infections can be reduced to an irregular occurrence and provide comfort, safety, assurance and overall higher quality of life to patients who require catheterizations for their particular condition. However, the biofilm-breaking catheter is not a completely finished product and is still being developed since bacteria can still be present in microscopic crevices or imperfections along the catheter. Currently, the focus has been on creating a catheter with several inflation chambers so as to more effectively segregate and dislodge biofilm throughout the entirety of catheter walls.